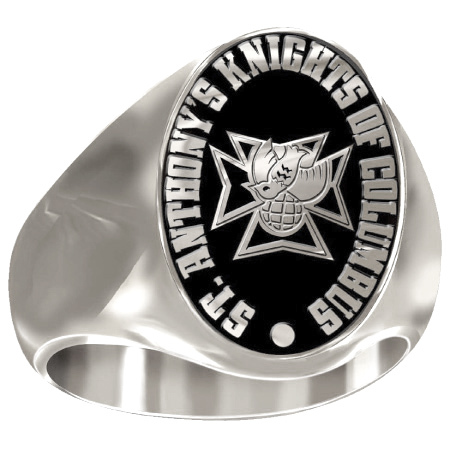 Solid back, polished siladium signet ring with Masonic globe logo. Antique enamel behind the logo. Smooth tapered shank. Customize the words around the logo with up to 35 characters.